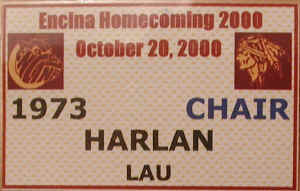 The Homecoming 2001 party was on Friday, October 5, 2001 at El Camino HS. participating in the show should contact Mike Stevens at 971-5881 Mon-Fri. between 8:00 - 2:00 pm. Where: Encina High School The alumni will have their own section of the stands between the juniors and seniors. Encina will need 3 or so alumni to judge the classes. Please RSVP as Encina needs a list of attendees. You must check in at the front office and get a visitor's pass to attend the rally. Where: El Camino HS cafeteria Encina will be selling food and drinks for those who wish to purchase dinner. 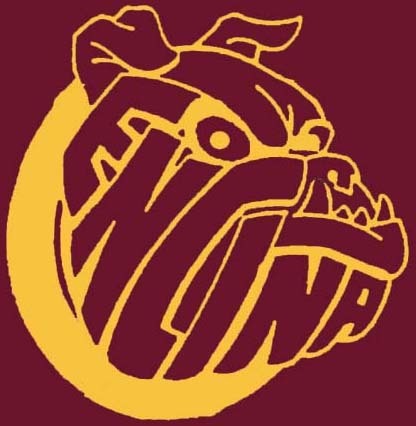 Admission: $5 The Encina alumni have been invited by Principal Myrtle Berry to participate in the half-time activities. We will have several alumni cars and an alumni float. Express your interest in the Homecoming Party using this form. Parking. If the El Camino parking lot is full, there is also a parking lot on Eastern. If you are coming north on Eastern, you can turn right into a big parking lot before you reach the school. .
Alcohol. No alcohol please. We need to be on our best behaviour if we are to use school facilities for future homecoming parties. Encinawill be providing security and violators will be spanked! Children. Are welcome to all events. Rally. 1100-1135 in the Encina gym. Please check in at the main office beforehand. A few of the alumni will probably be able to judge the students. Pregame party. Starts at 5pm in the El Camino High School cafeteria.The cafeteria faces El Camino and is located to the left of the mainentrance. Look for the Encina Homecoming banner. The entrance is through the faculty dining room. Please sign the guest book,get your nametag and have your picture taken if you wish. Nametags. Preprinted nametags will be provided for those who rsvp. There will be blank nametags for those who did not rsvp andfor guests who want them. If you are going to the game first, please stop by the cafeteria and pick up your nametag. 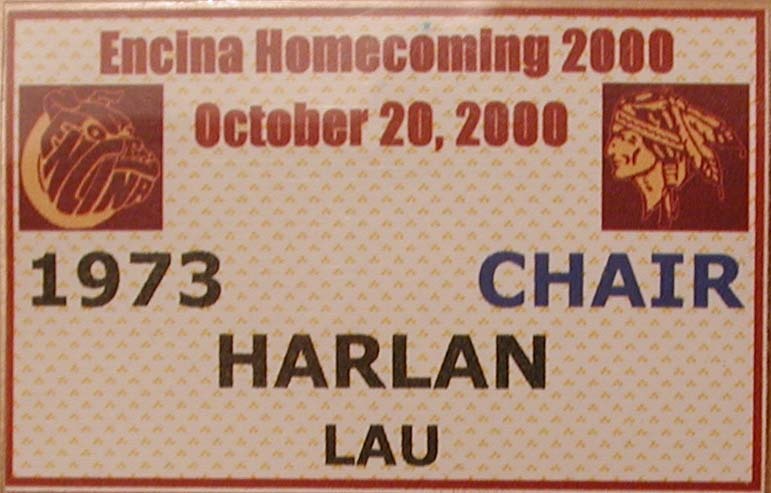 Even if you have not rsvped, you can make your own nametag using a blank Encina Homecoming nametag. This will identify you as an Encina alumni. We tried taking the nametags tothe game two years ago but there's no place to display them. Classes. The cafeteria will have a eight tables set up for each five yearsof alumni (61-65, 66-70, etc). Look for your class banner to find your classmates. Please sign in under your classyear so your classmates will know you are at the party. Decorations. Chris Moser Taylor 78 and her helpers provided all the decorations! Photos. Throughout the evening, if you see someone with a PHOTObadge, feel free to ask to have your picture taken. Rollin Coxe 64, Steve Palmer 74 and I will be taking pictures for the website scrapbook. Dinner. There will be tables for those who bring food to eat for dinner. Encina will be selling burgers, chips, and drinks. We will provide some snacks and munchies. Faculty. Based on last year's party, most faculty came to the pregame party and only a few stayed for the game and postgame party. If there is someone you want to see, come to the pregame party. Teachers and staff will have FACULTY nametags. Music. Pam Maples Weber 77 and her husband Ed will be providing music for the evening via their karaoke system. If you have a favorite CD you would like them to play from your era, bring it along. Announcements. About 7pm we will introduce the faculty in attendance and thank the reunion committee. 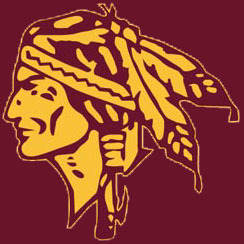 Then it's time to mosey over tothe stadium and watch Encina's undefeated football team take onLindhurst HS. Game. The homecoming game starts at 730 in the El Camino stadium.Admission is $5 for adults. Encina will mark off a section or two of the home stands for alumni. This is just so alumni can find classmates more easily. You can sit anywhere you want. Parade. The homecoming parade should start about 830. Drivers should have their cars in the parking lot by 730. Riders should go down to the parking lot behind the stadium by 800 or so. We are providing alumni cars for the Encina student royalty. Please do not try and ride in any of the alumni cars. This has been a problem in the past. Last year, alumni took the rides that faculty had been promised, much to my chagrin. This year the only alumni rides are on the alumni float, which is by invitation only. Do not crash the parade! Questions. If you have questions, anyone with a COMMITTEE nametag should be able to help you. Remember, NO ALCOHOL OR SMOKING is allowed on campus!